The only hand-me-downs from Max that she really likes. 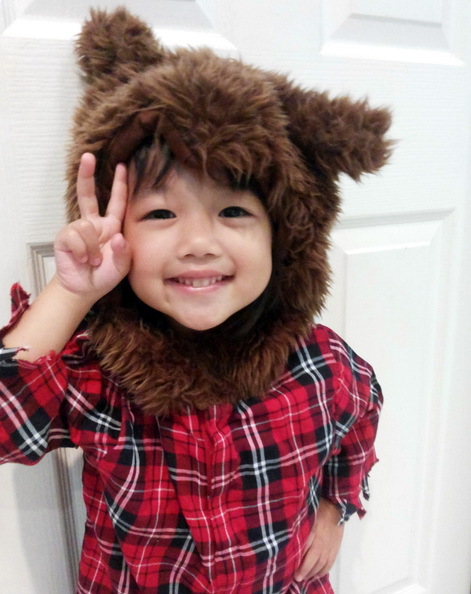 Dress her up as a wolf, and she’s little cute as a button. Know what freaks me out, though? The door behind her. It looks EXACTLY like all the doors in my apartment—closet doors, hallway doors, bedroom doors, and bathroom doors. It’s almost as if you guys snuck into my place to take that picture. Surreal. Whoops—guess I was drunk. “She’s STILL cute as a button,” is what I meant to write.